Love, loss, fairytale and tragedy. Princess Diana lived a life in the public eye, with every move photographed and scrutinized. But two decades after the tragic car crash that took her life, there are still compelling questions about how she lived and how she died. CNN explores the majesty, misery and mystery of Diana’s life and shocking death in a new two-hour special, Diana: Chasing a Fairytale. Reported by CNN’s award-winning senior international correspondent Clarissa Ward, Diana: Chasing a Fairytale will air Sunday, August 27 at 9pm ET/PT on CNN and CNN International, and Thursday, August 31 at 9pm ET on HLN. From London to the French Riviera and Paris to the U.S., Ward explores little known moments on Diana’s lonely journey to the palace and reveals intimate details about the last days of the life of a woman whose vibrant legacy lives on. Diana: Chasing a Fairytale features revealing interviews with many of Diana’s closest friends and people around her that fateful night in Paris – some who have never spoken before – including Xavier Gourmelon, fireman and first responder to Diana’s car crash; Sir Scott Baker, coroner who led the British inquest into Diana and Dodi Al Fayed’s deaths; Patrick Jephson, Diana’s former personal secretary; Dr. James Colthurst, childhood friend of Diana’s; Paul Burrell, Diana’s former butler and close confidant; Roberto Devorik, fashion designer and close friend of Diana’s; Pierre Suu, photographer who was outside the Ritz hotel and took some of the last pictures of Diana and Dodi before they died; Ken Wharfe, Diana’s longtime bodyguard; Lord John Stevens, former Metropolitan Police Commissioner who led Scotland Yard’s three-year investigation into how Diana and Dodi died; and many more. Twenty years on from her death, what more do we know about the crash that also killed her companion, Dodi Al Fayed, and Henri Paul, acting head of security at the Ritz who was driving when the car crashed? Investigations in both France and Britain concluded it was an accident caused by high speeds and an intoxicated driver, yet conspiracy theories continued to surface for years. 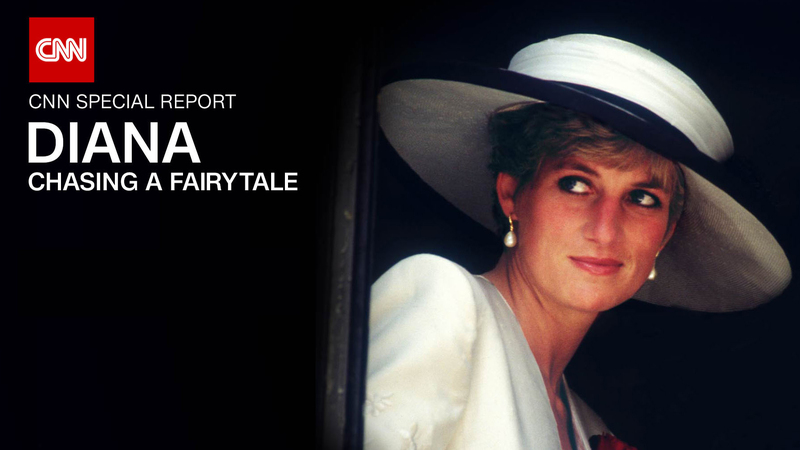 Diana: Chasing a Fairytale will replay on CNN International on Thursday, August 31 at 8am and 2pm ET, and on both CNN and CNN International on Friday, September 1 at 9pm ET. In addition to the TV airings, Diana: Chasing a Fairytale will also stream live for subscribers on Sunday, August 27 via CNNgo (at CNN.com/go and via CNNgo apps for Apple TV, Roku, Amazon Fire, Samsung Smart TV and Android TV) and on the CNN mobile apps for iOS and Android. Diana: Chasing a Fairytale will also be available the day after the premiere on demand via cable/satellite systems, CNNgo platforms and CNN mobile apps. CNN Special Reports is the award-winning, in-house documentary unit focusing on in-depth and investigative reporting of major issues and events and the powerful human interest stories that reflect our times.